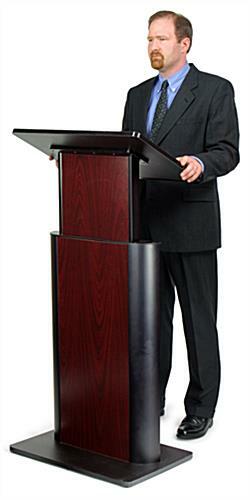 This Lectern Is For Sale To Fit Your Budget! 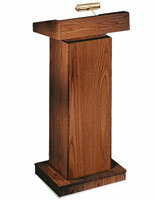 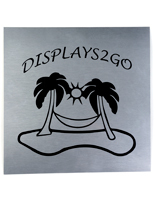 An Adjustable Height Mahogany Finish Podium Is Perfect For Any Atmosphere! 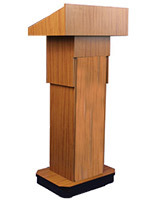 This Jewel Mahogany finished adjustable height lectern is made to be a single solution for both tall and short lectern needs. 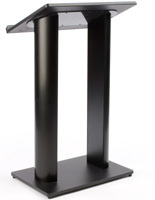 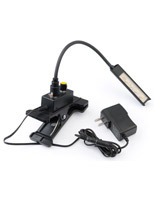 The height adjustment is accomplished with the use of a locking gas spring, released by a low profile foot peddle in the rear of the lectern. 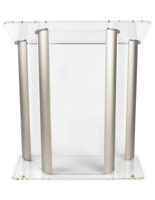 The telescoping top can adjust from 42" to 54" tall. 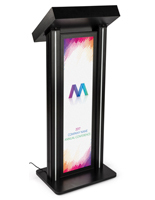 This distinctive unit is modeled after our popular colored panel podiums. 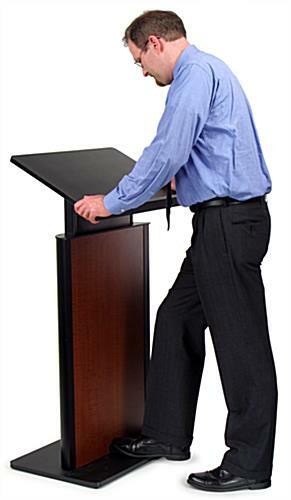 The working surface measures 26.75" wide x 16.75" deep. 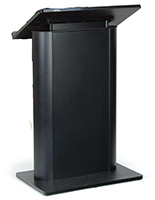 This spacious top can accommodate most any material needed for your presentation. 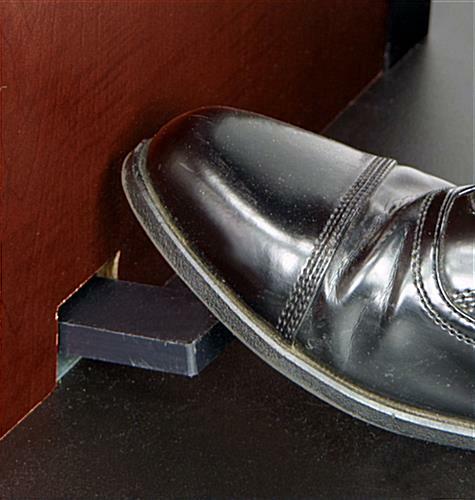 The 1" high retaining lip keeps those materials on the shelf. 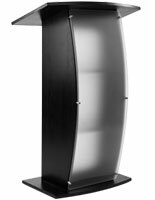 The high-density polyethylene bottom and book shelf complement the style of these lecterns' black anodized aluminum verticals. 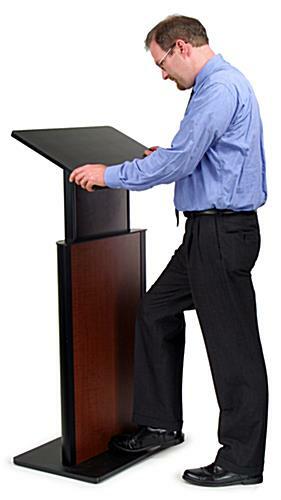 The front and rear panels are formica trim that snaps into the uprights without the use of tools.